I live in a small town 40 miles south of San Francisco. When I have the urge for culture and action, the city is a quick drive and I come home feeling exhilarated. I do have my favorites that I highly recommend. Many are off the beaten path — a rewarding way of experiencing any city. 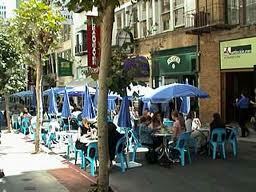 Nob Hill Cafe — not in Little Italy. On Taylor Street, steps away from Grace Cathedral. No reservations taken, so best to get there early. Otherwise, enjoy a glass of wine outside while you wait. This small restaurant has all your favorite pasta dishes; casual, cozy environment perfect with kids. It definitely is a favorite amongst the local residents. 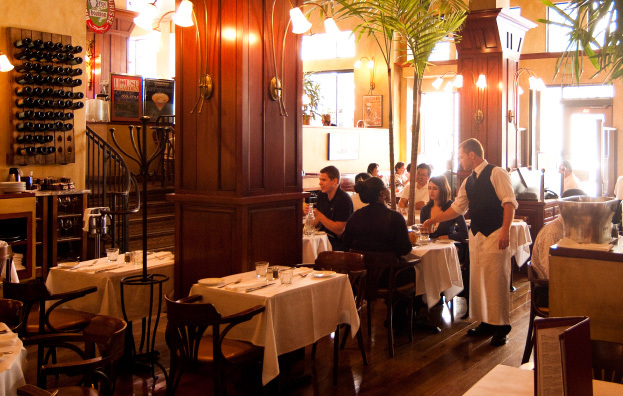 Cafe de la Presse — just off Union Square. On the corner, across the street from the Chinatown gate on Grant Avenue. This restaurant is perfect for any meal of the day. With it’s French flair, you can pretend you’re in Paris as you watch the shoppers go by. I went with my daughter on a night when it seemed all the big name restaurants around Union Square (e.g. Cheesecake Factory, E&O) were completely full — 45-minute waits! I have no patience for that. Grand Cafe — near the Theater District. It truly is grand! Reminds me of the grand cafes in Paris and Vienna. Perfect place to have an early dinner before your 8:00 show. Make sure you sit in the main dining room to experience the elegance and refinement of this restaurant. Mocca — A lunch cafe off Union Square. Located on the quaint Maiden Lane. Beautifully presented salads, quick, and delicious. Go when the weather is warm, so you can sit outside. La Boulange — Neighborhood breakfast hang out on Polk Street. Perfect for a big bowl of coffee or mocha and scrumptious breakfast. Huntington Park — top of Nob Hill. Great, small park for taking in the Nob Hill scene — famous hotels, Grace Cathedral, ringing bells from cable cars. A nice respite for the kids where they can ride on the swings, go down the slide, watch dogs being walked, eat a necessary snack. Gourmet food trucks — How about a quick lunch or dinner from a gourmet food truck? Not only will you get a tasty and affordable meal, you will also have a chance to enjoy the great San Francisco weather and hang out with the locals. Click here to find the schedule and locations around San Francisco. My favorite location is the United Nation Plaza. On a warm day, you might be entertained by a rock band. Combine exercise with amazing views of the San Francisco coast, the Bay and the Golden Gate Bridge. Huntington Hotel — for the urban spa experience. Nob Hill at its best, this hotel and spa are an example of classic hospitality and modern luxury. 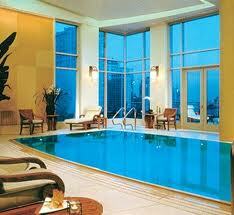 Massage therapies, body treatments, nail care, hot tub and pool are part of the spa services. You can also order food (and champagne!) and have it rolled to you on a cart and served at the tables around the pool. Continue luxuriating in your white robe. Ahhh. The spa is closed for an upgrade from March 18 – 29. I’ve taken many trips over the years (U.S. and overseas), quite a few with my family. Each trip has had its own unique experiences, like riding an elephant or renting an RV. Here is a sampling of itineraries including the U.S., Europe, and Asia, from as few as 5 days to as long as 4 weeks. If you are inspired to take any of them, or have other destinations in mind, please contact me and I can plan an itinerary to suit your preferences. You don’t have to travel overseas for a memorable vacation. Especially when air fares are expensive (imagine for a family of 5!) and time is limited, you can find special spots in Hawaii and California. Here are a few. For more details, or help with planning your trip to any of these locations, contact me. Kauai, Hawaii. My favorite of the Hawaiian Islands. Quiet, lush, and relaxing. Anza-Borrego Desert, San Diego, California. Try this place with an RV. Hearst Castle, San Simeon, California. Eclectic collection of art by wealthy publisher, William Randolph Hearst, with outstanding views of the valley and ocean. Safari West, Santa Rosa, California. You don’t have to go to Africa to experience giraffes so close to you. Sleep overnight in a luxury tent. Point Bonita Lighthouse, Marin, California. An awesome walk with gorgeous views of San Francisco on a clear day. The suspension bridge to the lighthouse will open spring 2012. City Hall, San Francisco, California. Take one of the free guided tours for an interesting history of city hall. Learn about Harvey Milk and Mayor George Moscone.